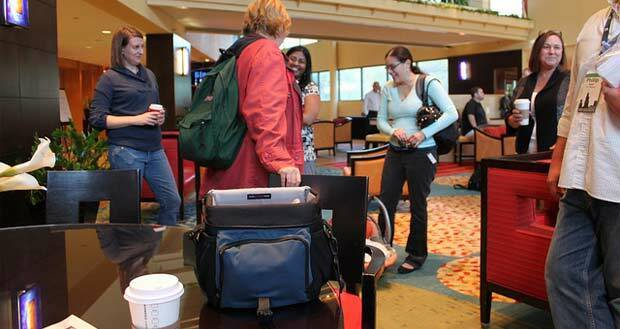 Conferences can be a great way to network, learn new information, and even earn more money. But they are often pricy, and if you are just beginning or don't have a lot of cash, the cost can keep you from attending. However, several bloggers have found their way around the obstacle of the expense by seeking sponsorship from a company. Sponsorship offers a reciprocal relationship between a blogger and a company. The company pays a portion or all of your expenses, and in return, the blogger helps them advertise their company and ideally get new clients. In a sense, sponsored bloggers are being paid to help the brand have a presence at the conference. I have attended four blog conferences, with two of them being sponsored. With the first one, I was sponsored by a cookbook company, and my job was to find other interested bloggers who may want to try out the cookbook and write about it on their blog. The second one I was sponsored by an Internet company, and my job was to find other bloggers who would like to try out the company and write about it. For each conference, the sponsors paid all of my expenses, which were just under $1,000 each. Look for sponsors you have worked with before. Have you had a review and giveaway of a company's product on your blog that was a success? Do you already work with a company and have a good relationship? Do you know of a company that sponsored someone else's attendance at a conference? Might they be interested in sponsoring yours, too? You are most likely to find success when you approach a company that you already have a relationship with. However, if you pursue all of those avenues and don't have luck, you may want to start contacting companies you have not worked with before. The key is to have a blog that is a good fit for the company. For instance, if you have a blog that covers frugality, you probably don't want to contact a gourmet food company. 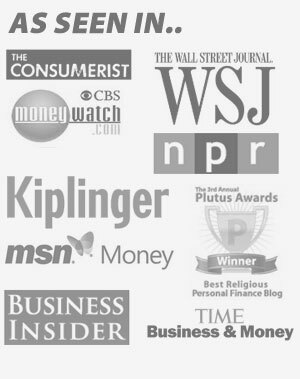 Choose companies that fit with your blog. While you can have a general media kit, try to have the one you send to a particular sponsor highlight information that your sponsor is likely to care about. For instance, the cookbook company that I worked with specialized in once a month cooking, so I included details about the once a month cooking posts I do and how many of my readers also participate in once a month cooking. When you first approach your sponsor, send them an e-mail stating who you are, why you would like to work with them, and what they can expect from you if they decide to sponsor you. You might send the media kit after they respond, though some people send the media kit with the initial inquiry. Of course, these are just a few ideas; you will likely come up with many more. While sponsorship can save you hundreds of dollars, there are drawbacks. Instead of networking for yourself and your brand, you may be networking for your sponsor, essentially robbing yourself of potential opportunities. Also, if you are not extroverted, approaching multiple people to pitch the brand that is sponsoring you can be draining. You may have to put more energy into pitching the brand than learning at the conference. Lastly, some conferences are strict about sponsorship. I attended one conference where the organizer gave permission to openly share with other bloggers anywhere. However, I attended another conference where talking about your sponsor was only allowed in the hallways, outside of waiting for sessions to begin or end. This made pitching for the sponsor very difficult. Sponsorship can make an unaffordable conference affordable, but just make sure that you know what you are getting into before you agree. Have you received sponsorship before? If not, is it something you would like to look into? No matter your career path, there's likely a professional conference for you. But if you don't have the necessary cash, should you still go? Aside from the typical monetization strategies like adsense, I didn’t know that avenues like this existed as another option for bloggers. Albeit, I’ve only been an online publisher myself for a month or so. Thanks for bringing this to my attention! I’ve never attended a conference but if I had a sponsorship agreement in place before FinCon this year then it’s likely I would have accepted it! Ultimately it will depend on funds; I can see how there might be a drawback if you have a sponsor, but it’s still something I would look strongly at depending on the company. I haven’t attended a conference, but I would personally rather foot my own bill and write it off as an expense. I don’t want to be representing a sponsor at my first conference. Maybe down the road if I started to attend multiple conferences a year. I’ve only attended the one conference, the Financial Blogger Conference in 2011, and I didn’t have a sponsorship to attend, it was all paid out of my own pocket. I would consider being sponsored to attend as long as the requirements were something less stringent like wearing the sponsor’s gear, mentioning them in a few posts, or something along those lines. Otherwise, I prefer to use the conference in order to make connections with companies and other bloggers, and use those connections in order to make more money. Previous Post: 10 Bible Verses About Contentment: How Can We Feel Contentment In A Restless World?